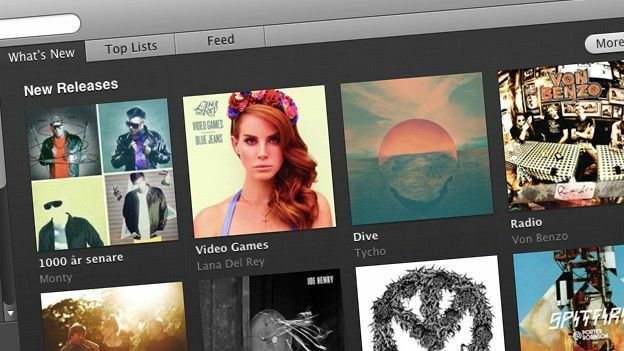 Music streaming is thriving at the moment, especially in the UK. Based on new research, there's been a massive surge in the sector across the nation, with 500 million songs being downloaded in a week for the first time ever. New figures from The Official Charts company show there were 505,849,000 audio streams in the week ending July 16, which is a new record. For comparison, that's nearly double the amount of streams measured over the same period last year. While that figure was likely boosted by the recent availability ofApple Music - the company's new music streaming platform – it appears that a lot of the UK jumped on the music streaming trend in the first half of 2015. The figures show users streamed 11.5 billion songs during that period – that's up 80% year-on-year. The huge figure is largely down to guitar-toting red-head, Ed Sheeran. The artist has been the most streamed artist of 2015 so far by a significant margin, with his songs accounting for over 170 million streams. Meanwhile Sam Smith placed second with over 100 million streams. Geoff Taylor, chief executive of industry body the BPI, said: "It's remarkable that we now speak of billions of audio streams per month - it demonstrates vividly just how quickly streaming is being embraced by British music fans. "As more consumers explore the enhanced experience offered by premium quality subscriptions such as Apple Music and Spotify Premium, it will help our world-leading record labels invest even more into unearthing the next generation of British talent for fans here and around the world." The figures also revealed that just 59 tracks have been streamed over 10 million times in the UK so far. Of those, the most popular is Bruno Mars' Uptown Funk, which has been streamed upwards of 45 million times.